Beresheet, Israel’s lunar lander craft, performs special maneuver to ensure the first Israeli spaceship ever manages to enter lunar orbit. Israel’s first spacecraft performed a special maneuver Wednesday night, aimed at putting the lunar lander into position to achieve a stable lunar orbit. In a statement released Thursday morning by the Beresheet spacecraft’s control team – led by engineers from the SpaceIL company and Israel Aerospace Industries – the Beresheet team said that the maneuver was undertaken, following what was reported to be the final major engine burn, to ensure the craft enters the moon’s orbit at the proper angle. “Yesterday at 14:30, the engineering team of SpaceIL and IAI performed a maneuver to align ‘Beresheet’ spacecraft on the right track to the moon,” the team said in the statement. 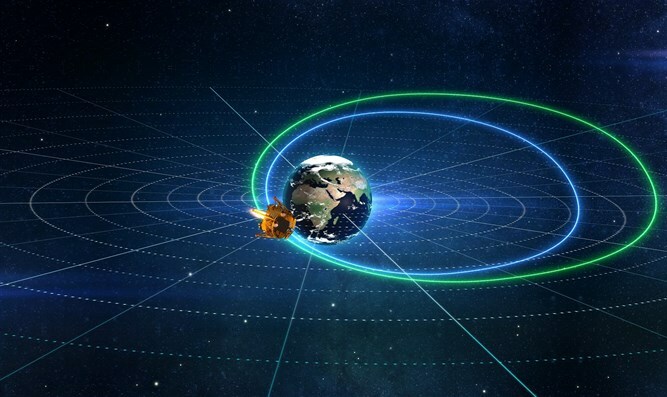 “Unlike previous maneuvers in which we accelerated the spacecraft’s speed to increase its orbit, in this maneuver we modified the orbit’s plane to slightly tilt the angle and ensure the spacecraft reaches the lunar orbit at exactly the right time and place,” explained Yoav Landsman, senior engineer at SpaceIL. Beresheet, Israel’s first spacecraft, was launched on February 21st from Florida’s Cape Canaveral, and is expected to touch down on the moon’s surface on April 11th.